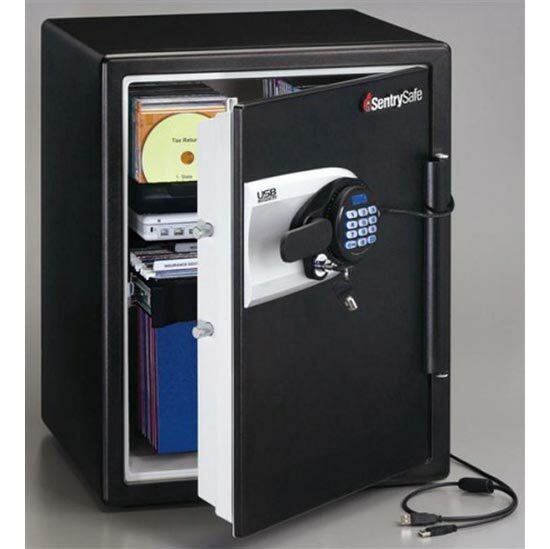 Here’s an interesting USB gadget, the SentrySafe USB Safe. The SentrySafe USB Safe is a fireproof and waterproof safe with a difference, it comes with a built in USB cable that lets you store your hard drive inside the safe and then connect it to your PC so you can access your data. This is a great way to protect your data if you are worried about it getting damaged in a fire or a flood, unfortunately it is only available in Japan at the moment for a rather pricey $1,800.